With the new updated 2018 Mercedes-Benz S-Class you get more than just a facelift. What you get is an actually improved version of an already excellent car. It is quite amazing how much the engineers at carmakers these days push the boundaries, and indeed themselves! And the new S-Class is proof of that fact. 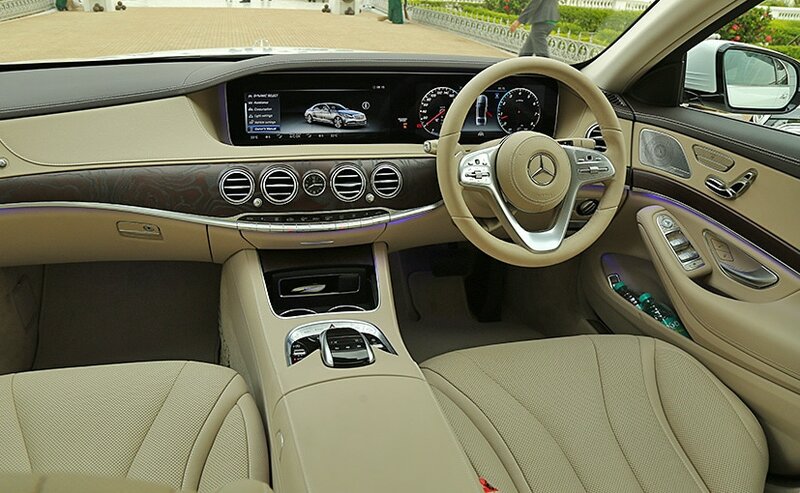 We had already driven the updated flagship sedan for the star marque in July last year in Zurich, Switzerland. And so I will not bore you with the reams of information we had shared then about the global update on this sedan. No siree, instead I will get straight to the point and tell you there are two key things you need to know about the India-spec model that was launched a few days ago, and that I have now driven. 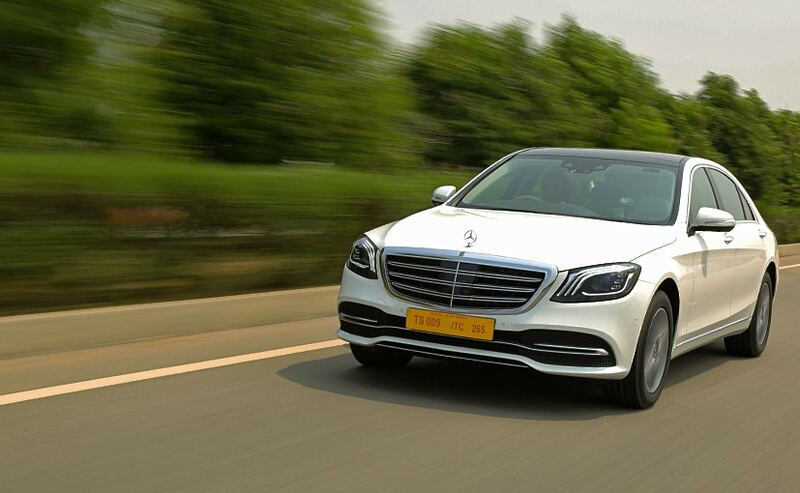 It brings with it some of the really cool new semi-autonomous driver-aids that we told you about then, to India for the first time on an S-Class. And then there is the little fact about it being BS-VI or Bharat Stage 6 – India’s first such car. It is only the diesel that is BS-VI and so I am going to begin my drive with that car. The looks of the car are tweaked and that makes it look less flowing and a bit bigger and more upright in the face. 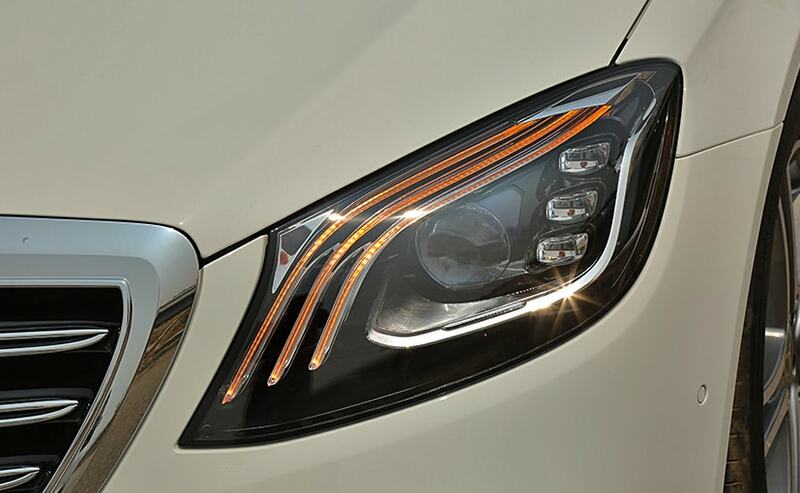 The triple LED daytime running light signature is now more distinct and makes the car look altogether different from its E and C siblings. At the rear you get new taillights and bumper treatment too, but I cannot understand why there is no button to shut the boot lid – considering the E-Class has one! Strictly for the chauffeur-driven I guess, and so why bother providing a button for the driver? Tsk tsk Mercedes-Benz! Anyway moving on then, on the inside you get the wider screen layout for the dash, and as always: huge dollops of luxury and comfort. But I will come to that later. 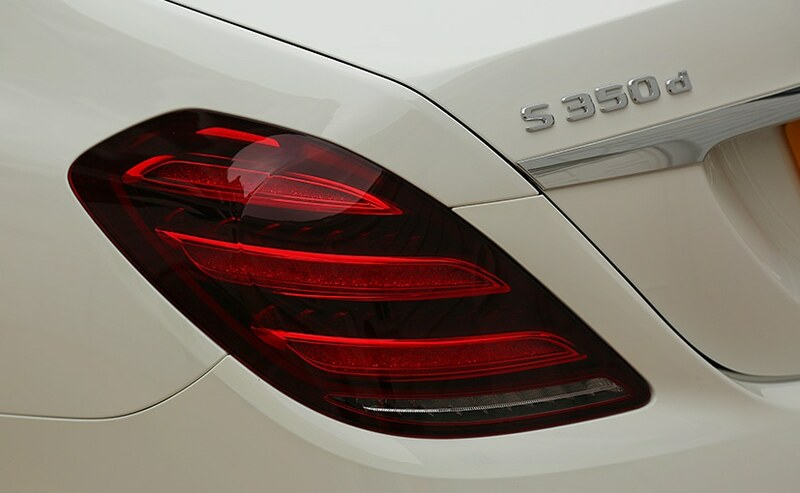 The diesel S 350 d is the 3 litre inline-six with a generous 282 bhp of power and an obscene 600 Nm of torque. It is mated to a 9-Speed automatic. The engine is more powerful, but still emits lesser harmful gases. That is because it uses Ad-Blue (urea based diesel exhaust fluid) that is released in an aqueous form into the tailpipe. The urea then vaporises and helps break down the nitrous oxides in the emissions to water and nitrogen – both harmless of course. This helps the car to meet much tighter overall emissions than seen before and yes makes the cut to BS-VI. All this sounds really simple, but Mercedes-Benz India engineers had to work to ensure that this engine could be re-rated to work with BS-IV fuel, since the cleaner BS-VI fuel will not be available for several months. The ad-blue can be topped up through an inlet next to the fuel inlet in the same fuel hatch. But you don’t have to worry about it, as it is a 25-litre tank that will only need to be topped up about once a year – and the service would take care of it. I spoke to the company’s boss Roland Folger, and he has promised me that the BS-VI diesel effort will not be restricted to the range topping 3 litre, 6 cylinder engine only. And so we will get other diesels that will meet BS-VI standards – well before the 2020 deadline. Good news? You bet! And once it happens in 2-litre territory it allows practically every car to go clean diesel in the Mercedes-Benz India portfolio! Great! Can I already start also mentioning the next generation A-Class here? Well that car won’t come before 2019 anyway, so it’s likely a different model – like the E-Class or GLC that would get it first I reckon. And the even better news is that it does not affect performance. The massive 5255 mm long car moves with the agility of something much smaller. It accelerates fairly instantly, downshifts quick and can surge ahead without so much as a flinch. Tripe digit speeds were achieved with not even a whisper, and no I did not venture close to the 250 kmph top speed on the roads around Hyderabad where I was driving this beast! That top speed is electronically limited by the way – and it’s the same on the petrol – which I drove next. But the S 450 will definitely seem a tad quicker, and the petrol V6 does give you that little bit extra with 362 bhp of maximum power. Peak torque comes in at a huge 500 Nm as well, and you will find the car’s response to belie its size even more. 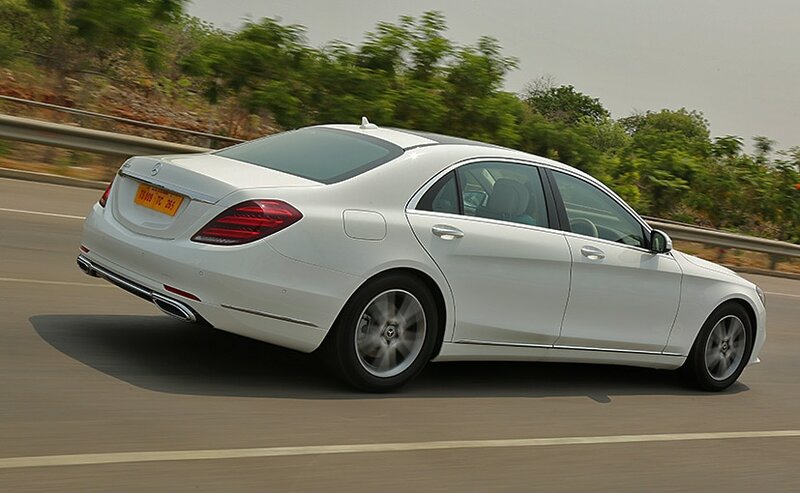 The car handles better than the last S-Class – though only marginally, as that department was already quite well covered. Dart in and out of lanes and corner at will at higher speeds – no problemo senor! I drove the petrol out of the curiosity of testing both variants, and I am glad I did. But the truth is that the diesel will outsell it many times over. 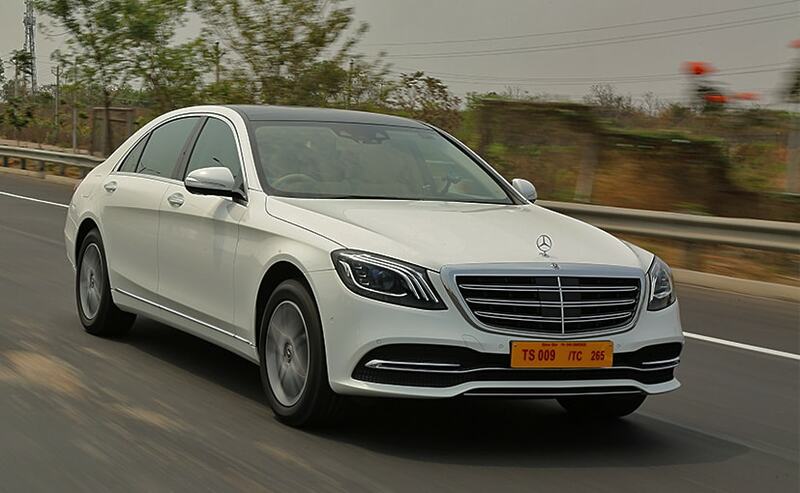 Mercedes-Benz India says 95 per cent of S-Class sales come from the diesel variant – even taking the bookings of the new car into consideration! And that the diesel is now the more progressive BS-VI makes that story sweet. You also get those semi-autonomous functions that work to assist the driver and enhance safety. The car’s on-board radars improve its lane-keeping, blind-spot detecting, and collision avoiding abilities. It also has autonomous emergency braking and steering as a party of that distronic function which works in conjunction with its adaptive cruise control. In the event the car senses an inevitable crash, it also deploys an array of functions that will assist better preparedness for an impending accident for the passengers on board – including playing white noise just before the crash to help protect your ear drums. On the inside the cabin will pamper you silly. 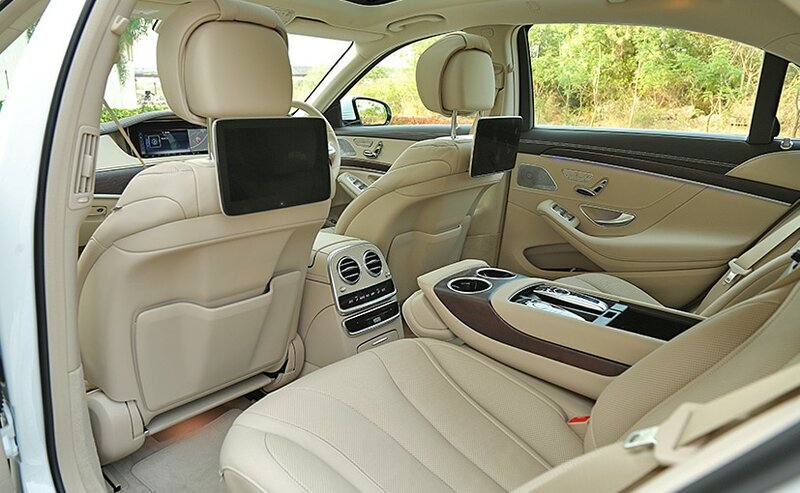 The rear left passenger seat is the most luxurious of the lot, with a recline and lounge function. The latter sees the front passenger seat move all the way ahead and deploy a footrest for you to stretch out on – just like the pre-update car of course. The infotainment system is updated, and now you get bigger screens – which can be manipulated using individual remotes for each of the two rear seat screens. This can allow you to change the music, get into the navigation, apply seat settings, start one of many massage functions (hot and cold! ), get seat air circulation going, and yes – change the ambient lighting (choosing from one of 64 colours and shades like before). And yes Apple CarPlay and Android Auto are par for the course too. Phew! So is it any wonder than that all of that technology, comfort, performance and status sets you back a few? Of course not – you knew at the start this was a swanky S-Class. 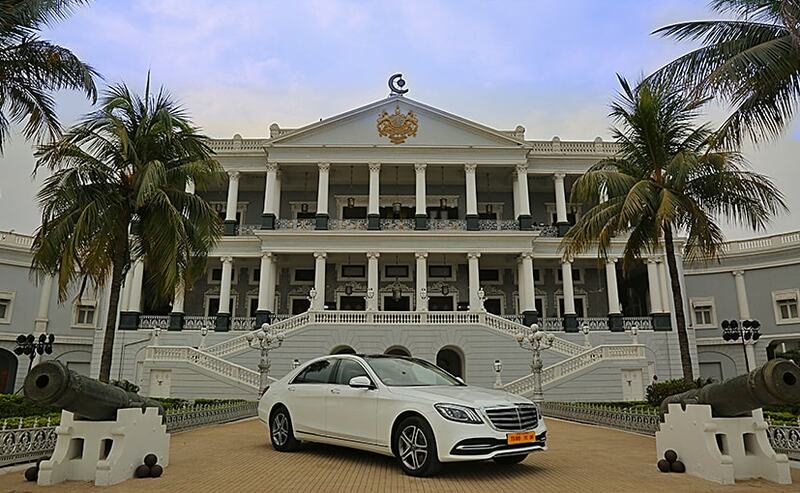 So all that nappa leather and exclusive paint which holds in that prowess will cost you ₹ 1.33 Crore for the S 350 d and ₹ 1.37 Crore for the S 450. The chauffeur though you will have to hire separately. All I can say is – given all that cool stuff on board, and the drive dynamics on offer – that’s one lucky chauffeur for sure! And no I am not being facetious, I promise!